All OSU faculty, staff and students traveling internationally on official OSU business are required to request travel approval via OSU procedures. This includes travel funded fully or in part by OSU. Students traveling on a study abroad program or course are registered separately through their program application. International visitors whose visit is being funded by OSU should also have an international travel request submitted on their behalf. The full policy and procedures can be viewed at OSU International Travel Policy 1-0132. While requests for US travel is processed on the online AIRS system, international travel requests must be processed by paper using the Out-of-Country Travel Request and Airline Ticket Requisition Form. Once the completed form has been signed by the traveler and two appropriate departmental supervisors, the form is submitted to the School of Global Studies and Partnerships (SGSP) in 107 Wes Watkins Center. TO AVOID THE FORM BEING RETURNED TO YOU NOT PROCESSED, please make sure to specify the purpose of your travel, cities to be visited during your trip and the dates when you are going to be in each city. It is important that the dates and cities be specified to comply with insurance and security regulations. If the traveler is taking personal time right before or after the official OSU travel please make note of it on the travel request. We do not need to know the specifics of the traveler’s personal time but we do need to know the traveler is still abroad should an emergency occur. SGSP reviews travel requests daily and routes all approved international travel to the OSU Board of Regents each Friday for final approval. The purchase of airline tickets and international travel that occurs before the traveler’s department receives the approved request with the stamps “Transmitted to OSU Board Office” and “Dean, School of Global Studies and Partnerships” is a violation of OSU travel policy and can result in reimbursement for any incurred expenses associated with the trip being denied. SGSP will register approved employee travel with the US Department of State online travel registration system (STEP) and log the travel into OSU’s online international travel database. All approved travelers will receive an email asking them to complete an online form for SGSP providing information requested by the Department of State for online travel registration. This registration is optional. Please be sure to leave appropriate contact information with your department head or direct supervisor. 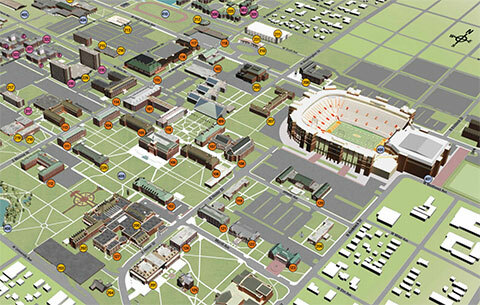 In case the need arises, it is important for OSU to have emergency contact information for you while traveling. As of January 18, 2018, the US Department of State implemented a new Travel Advisory process that replaced the former travel warning system. In this new advisory system, countries are individually assigned a Travel Advisory Level and in many countries regions of instability or greater risk are also assigned an advisory level that may be different from the assigned level for the overall country. View Department of State Travel Advisory Levels and detailed information on individual countries here. All travel requests are reviewed for travel advisory risk upon submission to SGSP as of the date received for processing. If the request for travel is for a destination with US Department of State Travel Advisory of 3 or 4, SGSP will route the request to Risk Management for review and will request additional information from the potential traveler. Completion of these additional forms helps ensure that the traveler is aware of and prepared for possible risks in the travel advisory area and that precautions have been taken. Each traveler is required to complete these additional documents individually and may not have an office assistant, study abroad course leader or other individual complete these required documents for them. The Office of Risk Management and the International Travel Risk Assessment Committee will review the forms and determine whether or not to waive the policy that prohibits travel to a travel area with an Advisory Level 3 or 4 (formerly identified as a Travel Warning Country). The travel request will be returned to the traveler’s department as approved or denied, pending the committee’s decision. Any further processing for approved travel is then completed. It is the traveler’s responsibility to monitor updates to the Department of State Advisory Level for the countries in which they are planning to travel and to contact OSU Risk Management should the advisory level change to a higher level of caution. Please also be aware that the United States government has adopted export control regulations that occasionally impact academic activities overseas. You can review those policies through University Research Services. It is the responsibility of the OSU employee to maintain compliance with current export control regulations. We hope that you have an international travel experience that is both professionally rewarding and enjoyable. If International Studies and Outreach can be of assistance, please do not hesitate to contact us at itravel@okstate.edu or (405) 744-6606.